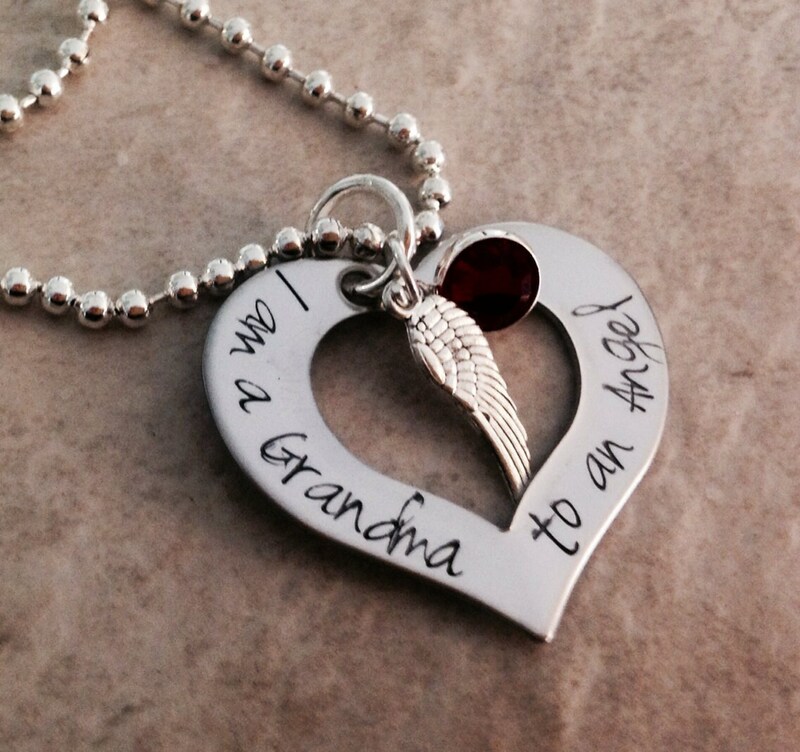 This is a beautiful remembrance piece, which you can personalize to make your own. Show with "I am a grandma to an angel" feel free to change the wording, or simply substitute "mom", "sister" "fiend", etc for "grandma". Heart measures 1 1/4" at it's widest point. 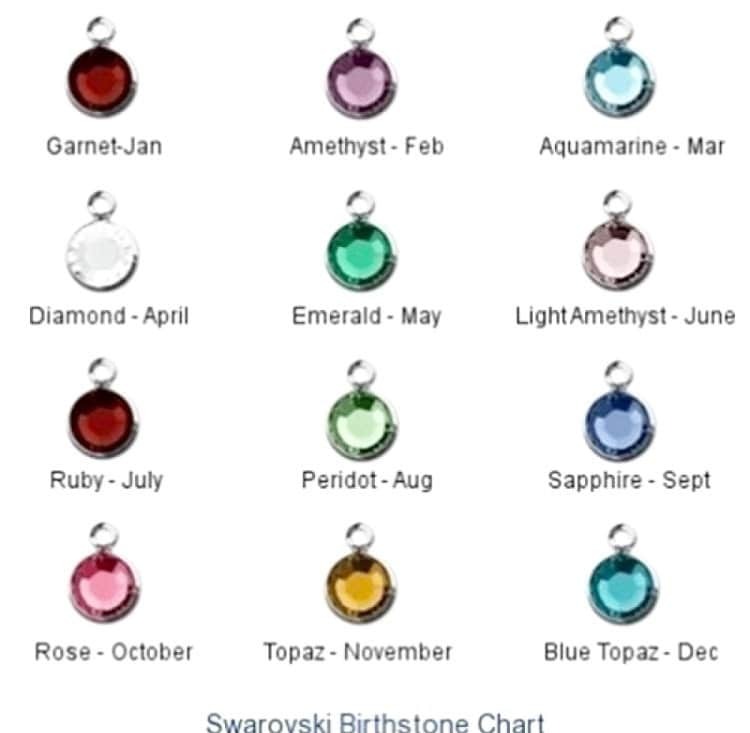 Includes angel wing charm and one channel set Swarovski crystal. 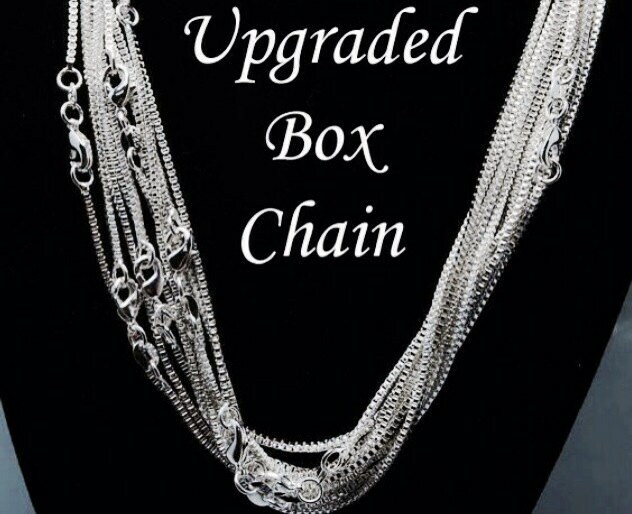 Please use the drop down menus provided to select your chain type.